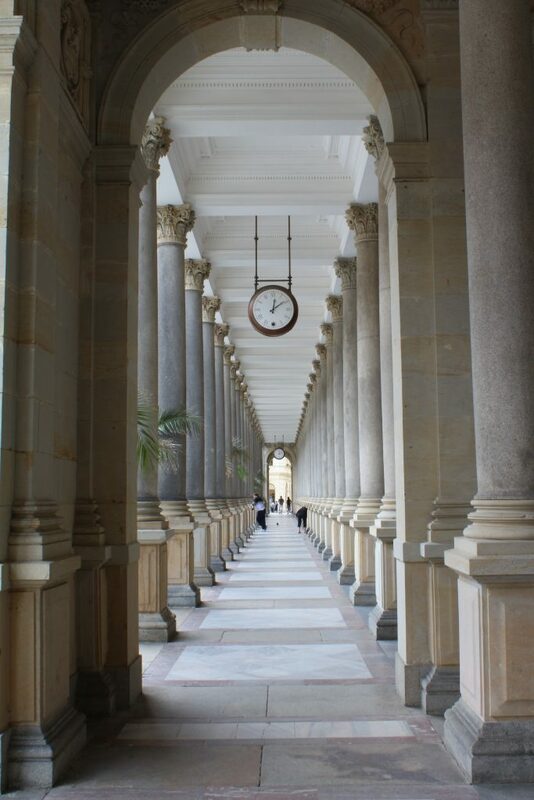 A spa town unique in many ways, Karlovy Vary, founded by the Emperor Charles IV in 14th century, are situated about 130 km west from Prague. Though its name might not seem familiar to you, there are many reasons to pay the visit. Legend has it that in the forests near contemporary Karlovy Vary, Emperor Charles IV found a hot spring that healed his injured leg. 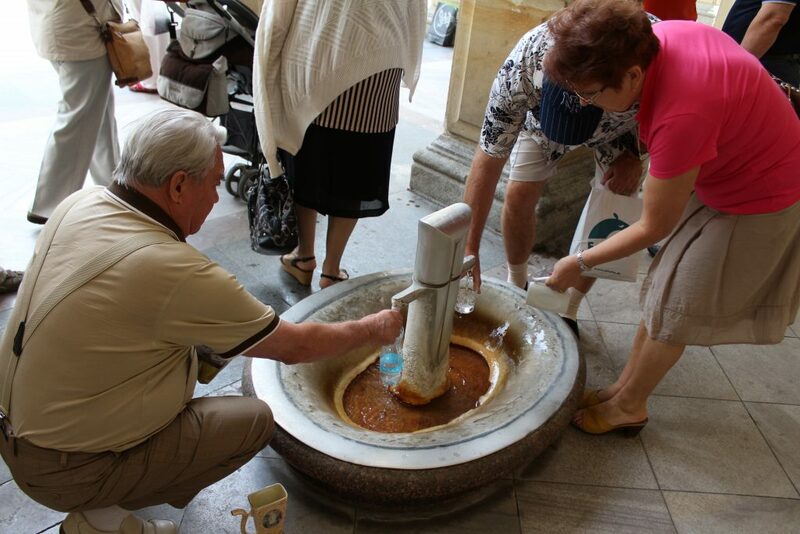 Since that day for centuries, till today, visitors from all over the world make their way to Karlovy Vary looking for healing water. At the very beginning, people were just swimming in its springs. Slowly discovering that the best way to absorb its healing power is actually drinking it. Numerous buildings were built to develop the city. In the 18th century, the first public spa (Mill Spa) was opened, followed by others in the 19th century. Once there, just walk though the city promenade and admire the Imperial Spa, Mill Colonnade, or Hot Spring Colonnade and lots of springs. And do not forget to buy a special cup to drink the water (but just for a sip 😉 ). 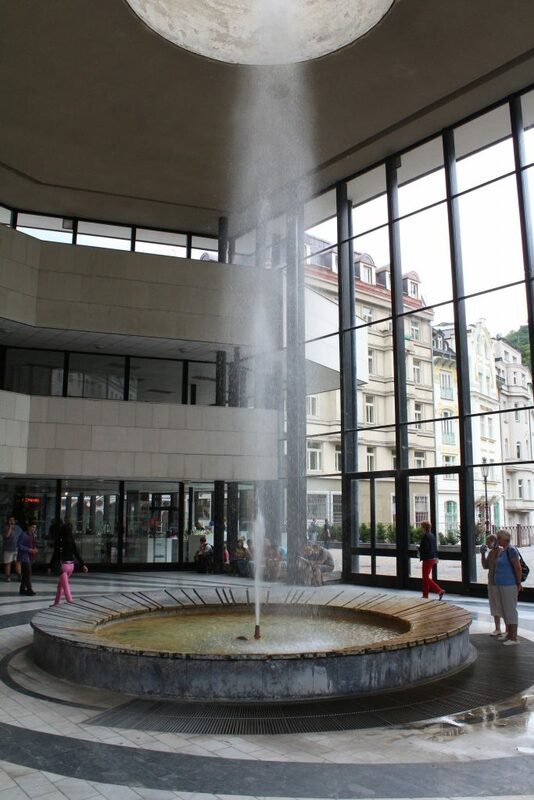 Not only visitors looking for healing water have discovered the beauty of Karlovy Vary. Many movie makers found out that the hotels, promenades and streets can be used as the perfect setting. 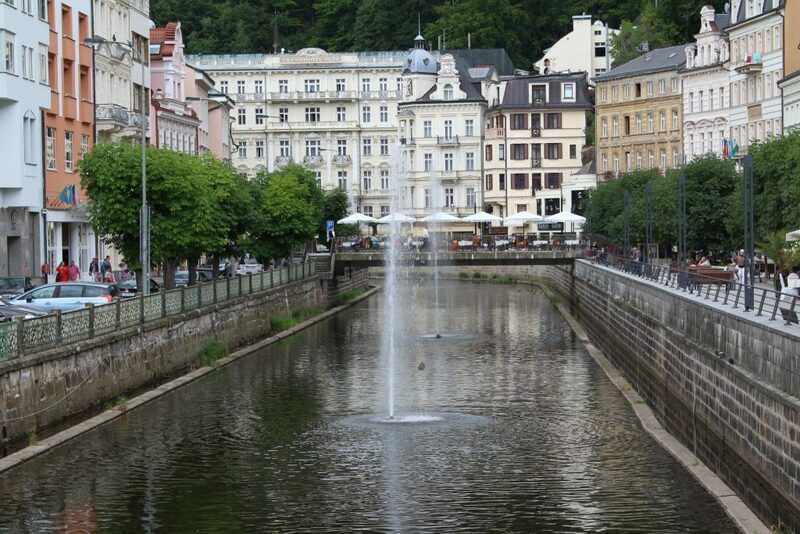 And many great Czech but also foreign movies were made in Karlovy Vary, mostly pretending to be a spa town or resort. If you do not believe, watch Last Holiday (2006, featuring Queen Latifah and Gerard Depardieu) or James Bond: Casino Roayle (2006, with Daniel Craig). Yes, in both cases the famous Grandhotel Pupp took all the glory. 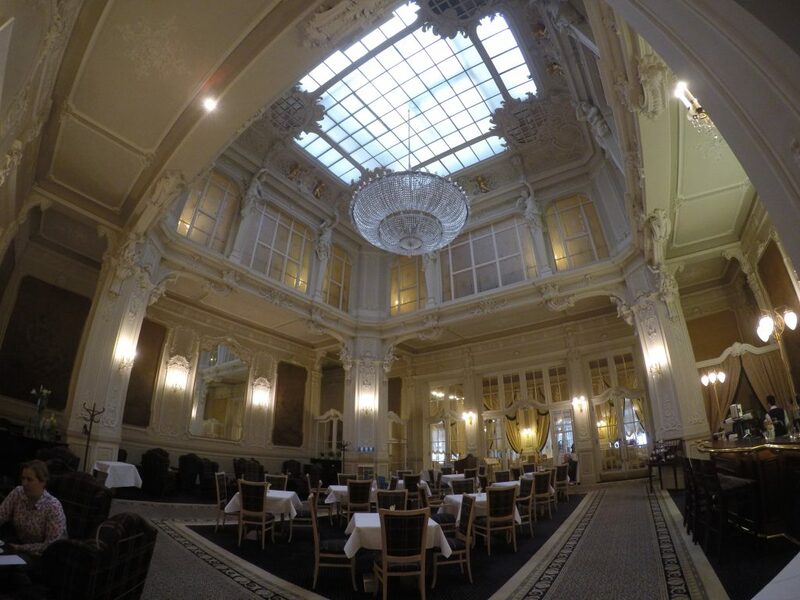 By the way, another hotel in Karlovy Vary – hotel Bristol – is rumored to be one of the inspirations for Wes Anderson’s The Grand Budapest Hotel. Local products are the best what visitors should take home as souvenirs. And you can find plenty of them in Karlovy Vary. The-must-one to tackle your tongue is a thin waffle – oblátka. Rounded, usually with the filling of chocolate, sugar, nuts or anything else, best enjoyed as warm. And there are countless street shops where you can find it. Go ahead and compare, buy just one or a whole box(es). 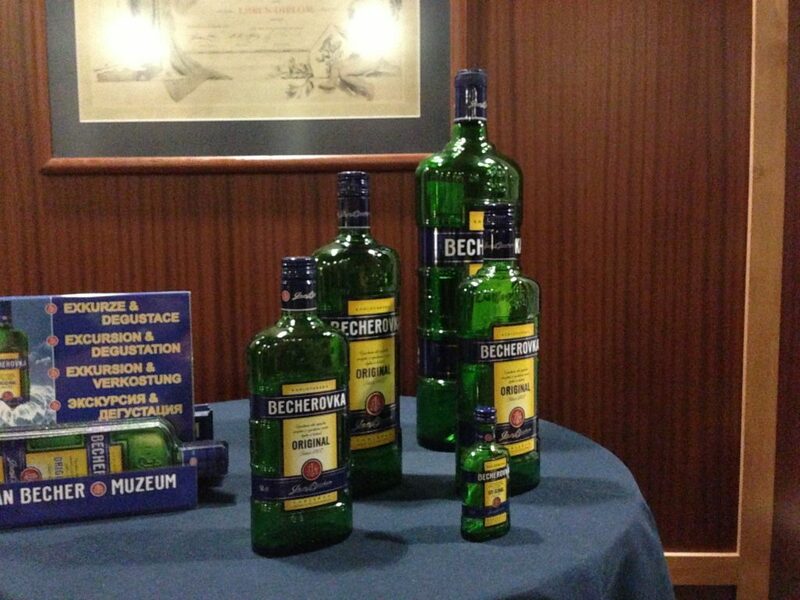 What makes Czech Republic more famous than crystal? 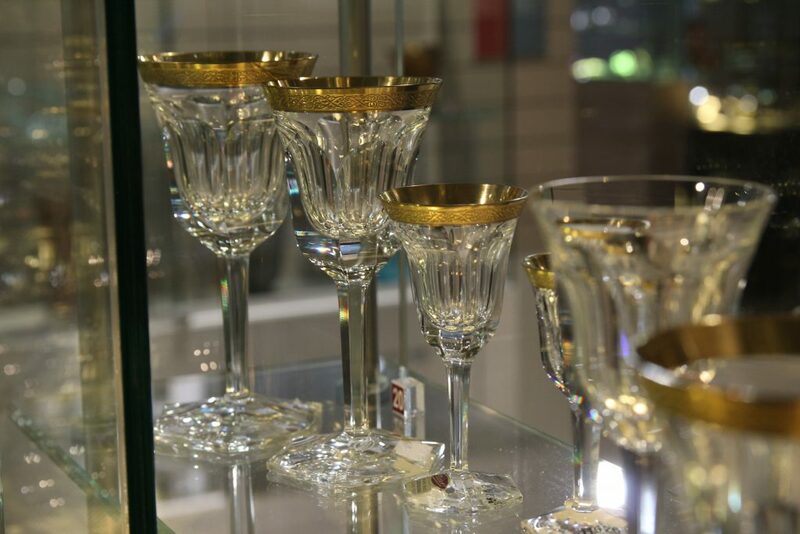 In Karlovy Vary you can find Moser Glass factory that is a world renowned producer of lead-free crystal. 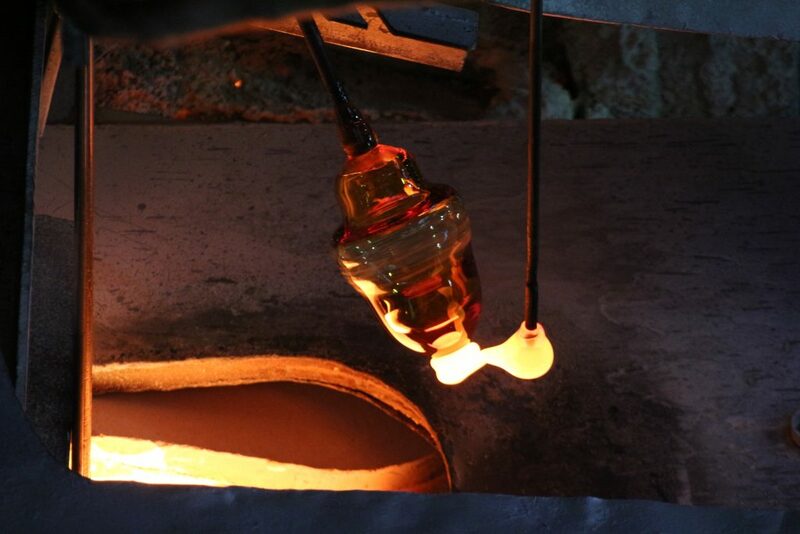 Each Moser product requires hours of hand made work of their glass masters. Secrets of hand skill are handed down from old glass-makers generation to the younger ones. 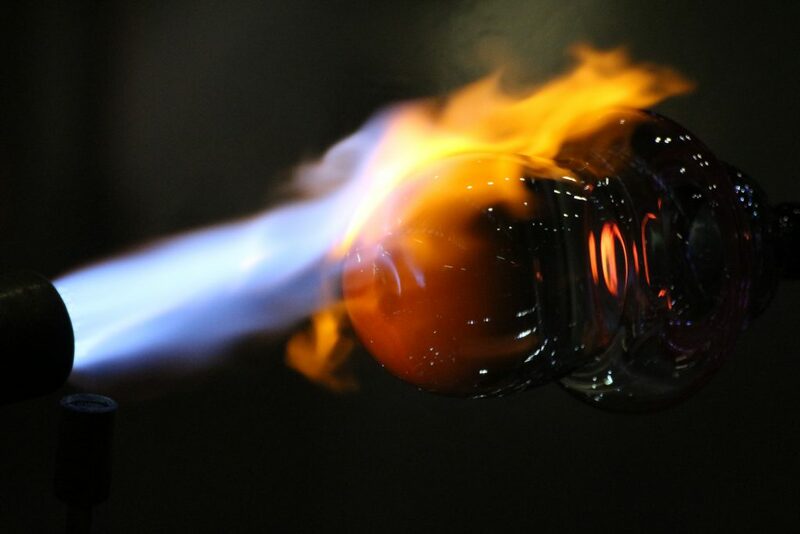 It takes years of hard work to become a glass-master there. Fortunately, you can even visit the factory itself, the place where all products are made, in these eight ovens. Great job!